(PhysOrg.com) — A new mathematical model developed by researchers at the University of Pennsylvania has offered even more evidence of the correctness of evolutionary theory. Herbert Wilf, Penn’s Thomas A. Scott Emeritus Professor of Mathematics, and Warren Ewens, emeritus professor of biology, say their model directly challenges the long-standing contention among some doubters that evolutioncouldn’t have happened because the small changes in species outlined by the theory simply would have taken too much time to be completed. 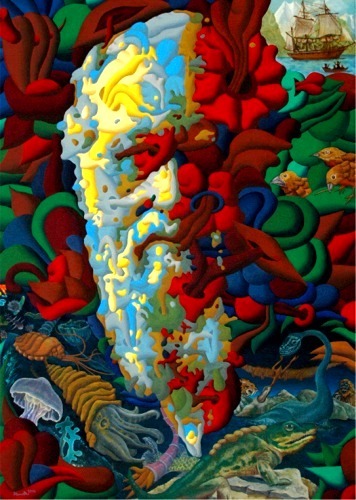 Their works shows that, under a very reasonable model of mutations and natural selection, the time required to evolve a very complex organism is vastly smaller than might be presumed. As a result, the idea that evolution would require “too much time” to be true is proved false. (PhysOrg.com) — If you owned a mechanical device made out of the strongest material known to mankind, wouldn’t you want to know under what circumstances it might fail? So did Chris Marianetti, an assistant professor in Columbia Engineering’s Department of Applied Physics and Applied Mathematics. 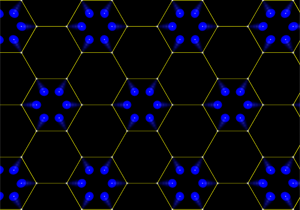 Marianetti, whose research focuses on modeling the behavior of materials at the atomic scale, was interested in the properties of graphene, a one-atom-thick sheet of carbon with myriad high-tech applications including smaller computers and longer-lasting batteries. Graphene has been in the news of late. This fall, two British scientists won the Nobel Prize in physics for their research on the material. In 2008, experiments at the Fu Foundation School of Engineering and Applied Science established pure graphene as the strongest material known to mankind. James Hone, an associate professor of mechanical engineering, described it at the time as 200 times stronger than structural steel, noting that it would take an elephant to break through a sheet of graphene the thickness of plastic wrap. Hone, along with Jeffrey Kysar, associate professor of mechanical engineering, were part of the four-person team that proved graphene’s unrivaled strength. Building on that groundbreaking research, Marianetti began to explore how and why graphene breaks. His research shows that when graphene is subjected to strain equal in all directions, it morphs into a new structure that is mechanically unstable. The honeycomb arrangement of carbon atoms is driven toward isolated hexagonal rings, a new crystal that is structurally weaker. The SEAS scientists hope to build upon each other’s work, continuing to advance the understanding of this super material. The research was funded by the National Science Foundation and will be published in the journal Physical Review Letters. Marianetti received his B.S. and M.S. degrees from Ohio State University and his Ph.D. in materials science and engineering from MIT. Before joining the faculty at Columbia, he did post-doctoral research in the physics department at Rutgers University and in the materials chemistry division of Lawrence Livermore National Laboratory.